BRYAN EATON/Staff photo. 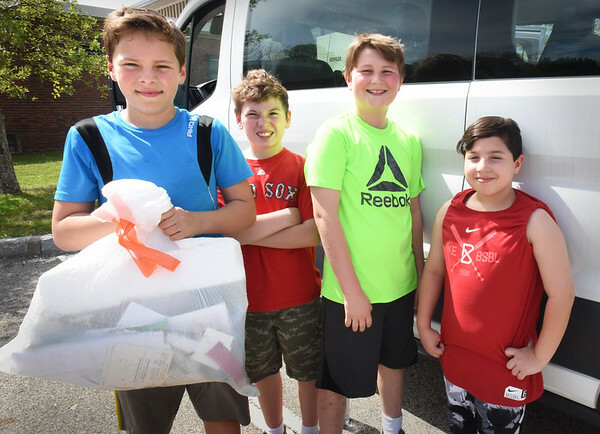 Amesbury Middle School students have been doing community service projects including picking up trash at Salisbury Beach. From left, Daniel Hutchings, 10, Aiden Allen, Andrew Lucier and Sean Rodriguez, all 11.